Did you have a good weekend? I celebrated my birthday and watched The Jungle Book - the first-ever movie I watched in life was the first Disney animation. I grew up obsessed with the characters and Kipling's stories. This year's version was definitely enjoyable, but I preferred the original Sterling Holloway voice of Kaa the Snake ("Ohhh my sinusssss") to Scarlett Johansson. Moving on, here are the results of the Lilla Rose Hair Clip Giveaway. Scroll down to find out if you won! 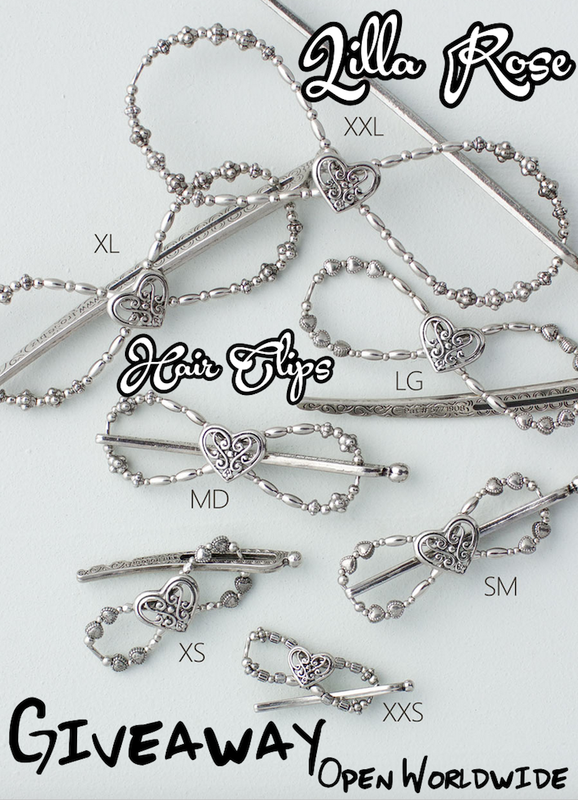 the size of the clip you want - from XXS to large, depending on the thickness and length of your hair. Go here for a sizing chart. There is an approx reference in the photo above. Please refer to the T&Cs and rules in the original post for any doubts. The next giveaway, which exciting makeup prizes, will commence in May. Not too far off, so stay tuned!